Clovir (Acyclovir) is an antiviral agent. It is highly active against Herpes simplex and Varicella zoster in vitro.Clovir Eye Ointment is used for the treatment of Herpes simplex keratis. 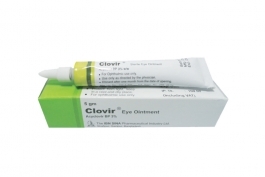 Clovir is available as 5 gm sterile eye ointment. Zirgan Eye Gel (Ganciclovir) which is an anti-viral guanosine derivative. Indicated for the treatment of acute herpetic keratitis (dendritic ulcers). 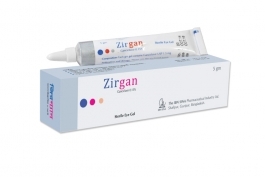 Zirgan is available as 5 gm sterile eye gel.